Born in 1964, Larry grew up in Dun Laoghaire, his mother Patricia passed away when he was 12, leaving Larry, his brother and sister under the sole care of his father Paddy. Following secondary school in Sallynoggin at the Holy Child Community School, he ran a number of businesses set up during school years. These were mobile disco services and production services for bands and stage shows. Larry’s DJ carreer started on pirate radio aged 13! In 1992 he went back to college, in 1997 he graduated from DIT with a degree in communications. In 1999 Larry established ShinAwiL Productions Ltd, before forming a joint venture with Screentime Australia in 2003, and forming Screentime ShinAwiL, now one of the largest independent production companies in Ireland. Larry is currently CEO of Screentime ShinAwiL UK & Ireland. In 2013 Screentime became part of the Banijay International group. Larry has Executive Produced the Irish versions of the multi award winning series’, The Apprentice that won 2 Irish Film and Television Awards, Dragons Den, MasterChef Ireland and most recently the hugely successful The Voice of Ireland, with Series 4 just launched. The Screentime ShinAwiL development team is currently in development on original series’ for the Irish, UK and USA market. Original shows including a move into Drama is priority for ShinAwiL. Larry is keen to grow the business of creative content in Ireland as a pillar of our economy. In 2011 the department of Arts, Culture and Gaeltacht appointed Larry to sit on the editorial committee to write a report to government, The Creative Capital Report to grow the industry. Larry believes more business skills are required in creative industries. In 2000, Larry was elected to the national Executive of Screen Producers Ireland (SPI), serving as deputy chairman from January 2003 to February 2004, and as Chairman from February 2004 to February 2005. He also was the Irish member of CEPI from 2003 to 2006. Larry is an International Ambassador of the International Rose d’Or, an advisory board member of FÁS Screen Training Ireland and Entertainment Masterclass. He has also sat on a jury for the Internationl Emmys and BANFF Television Awards. 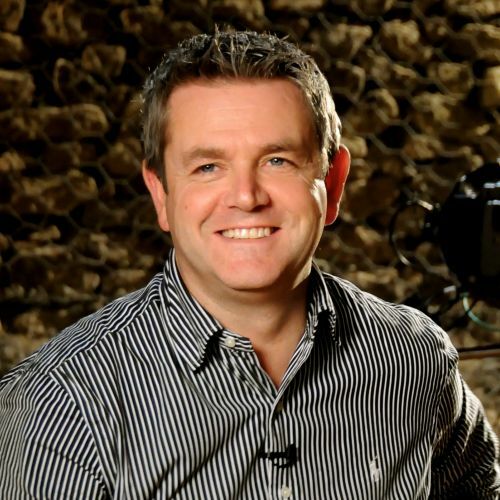 Larry has guest lectured at DIT Dublin, IADT Dublin, MIPCOM, MIP TV, Banff, SPAA Australia and Entertainment Masterclass. In 2010 Larry was appointed to the Board of the Broadcasting Authority of Ireland by the Irish government. As a board member of the BAI, Larry sits on the Contracts awards Committee of the BAI.